The most beautiful part of the Orsay Museum, before the paintings, is the building itself. The architecture really is the greatest reason to visit the Orsay Museum. You can not claim to be a human being but remain cold and indifferent in front of this stunning architecture made of stone and glass. 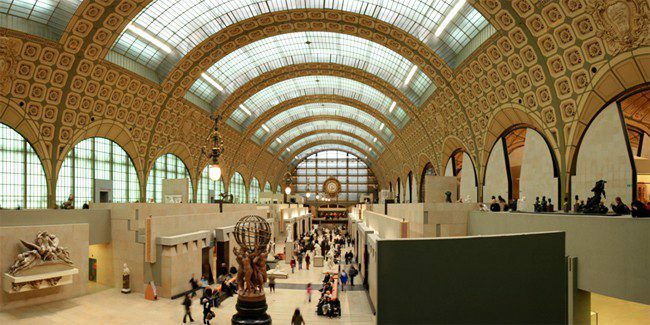 Here are the top 5 reasons to visit the Orsay Museum. The outside, first, looks like an old railway station, with the big clocks and the larges bay windows. The explanation is simple: the museum was originally a real train station, constructed for the train line between Paris and Orléans, a city in the south-west of Paris. It was also main artwork presented at the 1900 World Fair, exposing its majesty and beauty to the entire world. The luxury hotel that was integrated in the train station had for goal to hide the modern metallic structures of the building, giving the façade an elegant academic architectural style. The building remained a railway station throughout the first half of the twentieth century. In 1970, the Minister for Cultural Affairs, Jacques Duhamel, saved the station from its planned destruction and replacement by a modern hotel complex. In 1974, the decision was taken to turn it into a museum, which opened in 1986. If the outside is impressive, the inside is all the more stunning. The design is the result of the work of three young architects, who had a main mission to divide the important sub-roof space of the station into new floors. The large 138 meters-long hall of the station became the main artery of the museum; the great glass awning became the museum’s entrance. Today, when you enter the museum, it still remains the impression of being in an old railway station. The large glass windows on the ceiling provide a natural lightig. In total, there are 35 000 square metres of glass, creating a real impression of brightness. 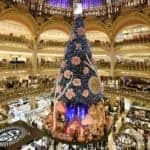 The second great reason to visit the Orsay Museum is that it is pre-eminently the museum of Impressionism, and more generally of the late nineteenth-first twentieth period (1848-1914). There are two explanations. First, the chosen period, though very short, is extremely productive and is a real turning point in the history of art. 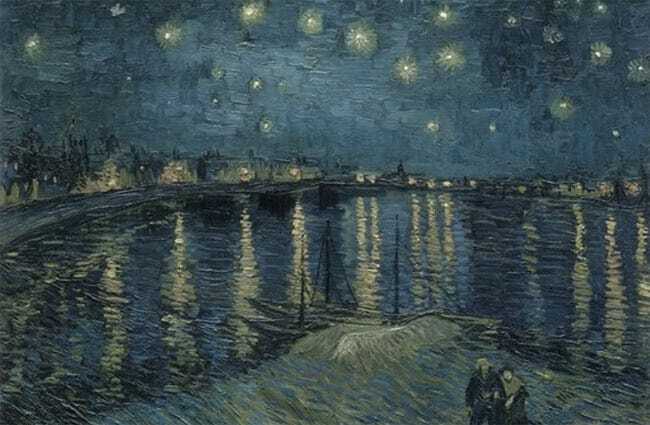 This period has indeed spawned an important number of works in painting, sculpture, decorative arts and photography and given birth to many artistic movements, such as Impressionism, but also academicism, pointillism, symbolism, fauvism, primitivism, etc. The second explanation is that this interesting period had no real place in the landmark of Parisian museums. 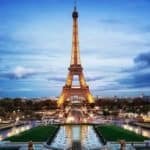 The two main museums in Paris at the time were the Louvre and the National Museum of Modern Art at the Pompidou Centre. 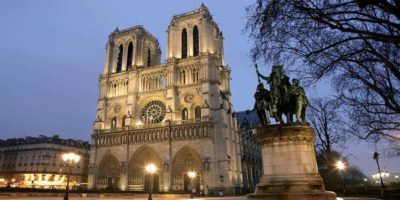 The two of them covered a large period of the history of art in Western Europe, from the Middle Ages to 1848 for the Louvre, from 1905 to nowadays for the Pompidou Centre, but the nineteenth century seemed forgotten. So the Orsay Museum was built as a way to bridge the gap between those two museums and to put a renewed emphasis on a very prolific but forgotten period. the realistic depiction of light as the supreme principle. 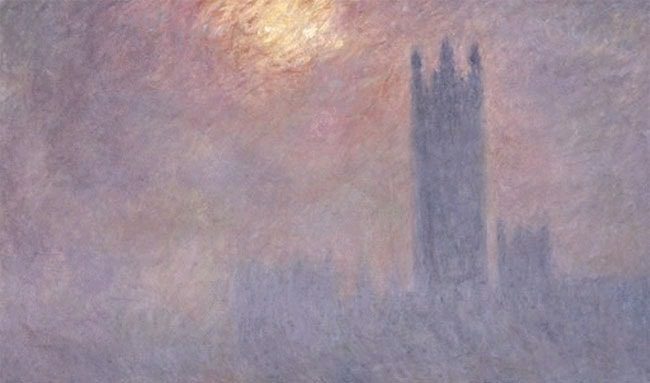 Post-impressionism is represented by paintings from Seurat, Gauguin or Van Gogh. It is more a state of mind than a homogenous artistic movement, composed of many different tendencies. Neo-impressionism, also called pointillism or divisionism, with painters such as Seurat or Signac, uses juxtaposed dots of colours. Symbolism and primitivism, with Gauguin, abolish the perspective by using large patches of bright colours. Other artists disengage from these tendencies and evolve autonomously: that’s the case of Cézanne, Toulouse-Lautrec or Van Gogh. 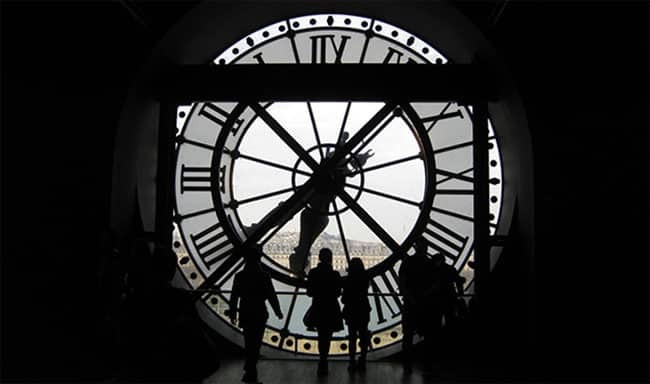 Another good reason to visit the Orsay Museum is the view over Paris that it offers. Actually, there are two spots in the museum to enjoy great views. 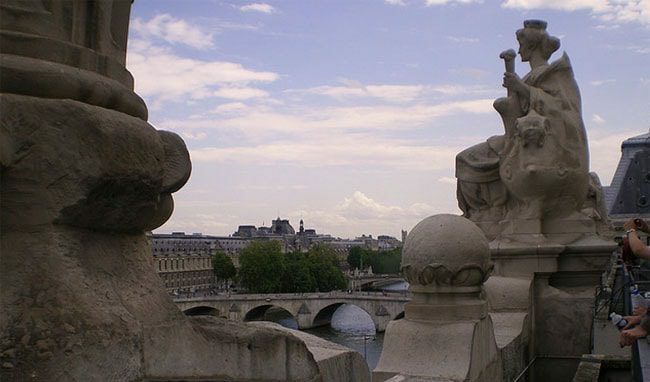 The first is from the second floor: behind the great clock, you can have a beautiful view on the Seine river. It is such an amazing experience, to mix the modern-metallic-industrial side with the clock, and the large-colourful-panoramic side with the view of the river! The second view is from the roof. During the summer, if you go up to the mezzanine of the museum, you can arrive at the terrace. It is located above the Café des Hauteurs, at the last floor of the museum. 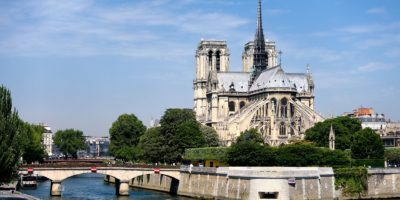 From there you can admire the Seine river, its bridges and the great monuments of the right bank, such as the Louvre Museum, or the Garnier Opera. And if there is no cloud, you can even see the Montmartre hill and its Sacred Heart Church, in the back! This view is really, with the one from the Eiffel Tower, from the Montmartre hill, from the roofs of Notre Dame or of the Arc de Triomphe or from the Montparnasse Tower, one of the best panoramic views over Paris. 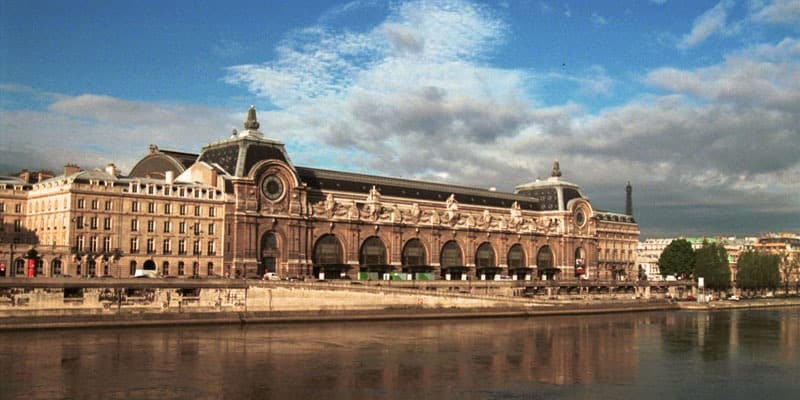 The neighbourhood of it is also a good reason to visit the Orsay Museum. The Orsay Museum is located on the left bank, just above the river. Two things are to see around the museum. 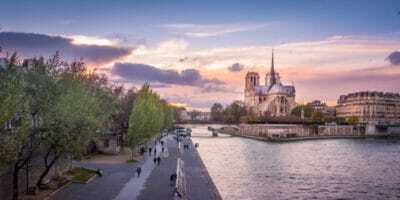 The first option is the walk alongside the river, named les Berges de Seine (the Seine Banks). 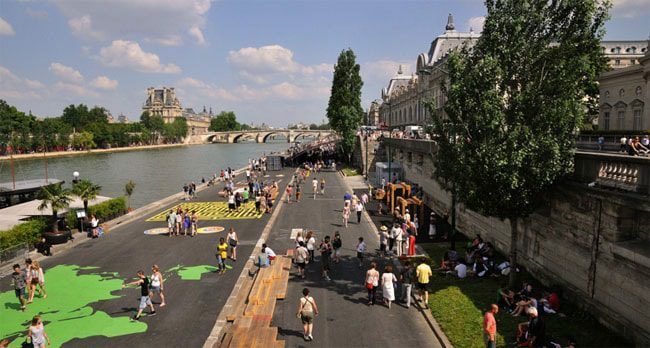 It is a pedestrian area transformed into a walk and entertainment space, which runs from the Royal Bridge, which is next to the Orsay Museum, to the Alma Bridge, which is next to the Eiffel Tower. 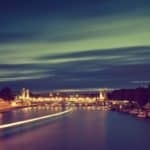 Playgrounds for children, floating gardens, sporting courses, flower beds, open-air cafés: it is a real relaxation space, at the heart of the city centre, without the stress of the cars and noises. The great(est) positive point is that there are many places to take a nap along the river: self-service beanbags, sunbeds, and, if you’d rather sleep in the shadow, there are even tepees! And if you just want to walk, the pedestrian area is 2,3km long, so you can enjoy one hour of slow and sunny walk! How to go there: go on the bank of the river just down the museum. Face the river and turn your back to the museum, start your walk to the left. Your second option is another walk, running this time to the right of the museum. 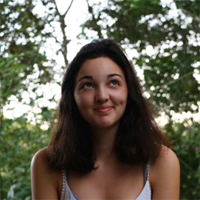 This walk, very different from the first, has as much of an interest as it, thanks to its cultural and artistic dimension. First, the Quai Voltaire (Voltaire Bank) is the beloved home of the antique dealers of Paris. You will find many galleries with antiques, but also with archaeological artefacts, sculpture and art objects. This fascination for the old and the beautiful, and for their combination, is really a part of the charm of Paris. Keep on walking, you will then arrive on the Quai Malaquai (Malaquai Bank), another home of artists and dreamers. 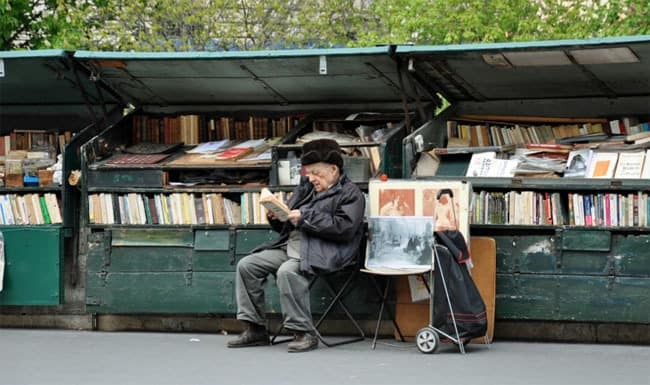 The dark green boxes that you see on the sidewalk are the “bouquinistes” shops – booksellers. They are a real institution in Paris, selling used and antiquarian books at a cheap price. Since the sixteenth century, it’s a real tradition in Paris, installed along more than 3 km alongside the river. Take the time to walk by them and to look at the books, the old postcards and the rock posters (actually fake ones) from the sixties and the seventies. It’s in places like this than you can really feel the spirit of Paris. How to go there: go on the bank of the river just down the museum. Face the river and turn your back to the museum, start your walk to the right. The French word for water-lilies, “nymphéas”, comes from the Greek word “numphé”: in English, nymph. This reference to the Greek gods and myths is effective. The impression that you have visiting the Orangerie Museum is really an impression of sacred, divine, almost magical. The Orangerie Museum is the paradise for impressionists-lovers, and above all for Monet-lovers. It’s the place where are exposed the magnificent Water Lilies of the painter. The set is inspired by the own water garden of Monet, located in Giverny, a city close to Paris. The painter spent hours and days sitting in his Japanese garden to paint either the shores of the pond and the leafy vegetation or the body of water and the reflections at its surface. He wanted to study the light variation in this particular landscape. Beyond the subject, the form of this set is also of a great interest. It represents half of the permanent collection of the museum, and is exposed in a series of rooms specially dedicated to it. Worldwide, this set is a unique masterpiece: each painting is two meters high. The paintings joined take almost a hundred linear meters, with a surface of around 200m². This length, which makes the set one of the biggest realizations in the twentieth-history of painting, really gives the impression of an endless landscape, floating in haze of infinity. So the Orangerie is the last (but not the least) great reason to visit the Orsay Museum. 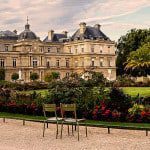 Orsay and the Orangerie are two national museums responsible to the Ministry of Culture and Communication and have been attached into the same publicly administered establishment, managed by the same institution. For this reason, for only a few more euros, you can buy a double ticket allowing you to visit the two great museums. Visiting the Orangerie is a real chance that you mustn’t miss! How to go there: the Orangerie is located in the Tuileries garden. From the Orsay museum, it’s a 10min-walk. Go to the bank just down the museum, take the bridge named “Passerelle Léopold-Sédar-Senghor” on your left. You will find the Tuileries garden in front of the bridge and the museum is on the left! 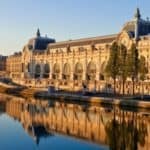 So now, you have every reason to visit the Orsay Museum in Paris: you can’t do anything but going there! Don’t hesitate to contact us if you need further information about anything! See you soon in Paris!